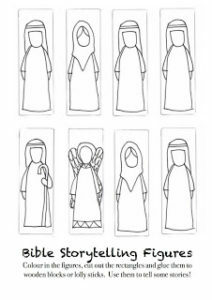 Thanks to Creative Children’s Ministry for this free printable storytelling resource. Make these with your Small Groups of younger children and guide them through re-telling stories using the characters. 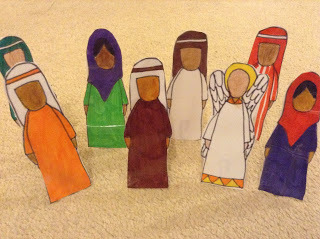 Sometimes it’s nice to have a few portable figures to tell a Bible story with and then to help the children to retell the story. Here’s an easy way to make some figures that stand up by themselves, can be a easily stored and can even be colored by the children. Click here to print out the color in character sheet. Get the children to color in the characters and then cut them out. Laminate them if you want repeated use without too much damage! 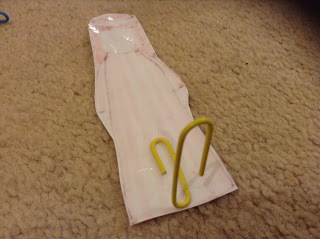 Tape a paperclip ‘stand’ to the back of each character as shown in the picture. Now stand your characters up and tell a story!